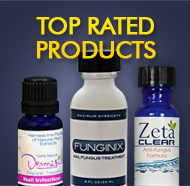 The potential side effects of oral medication toenail fungus treatment products are the primary reason why many people choose not to use them. Although it has been said that these types of treatments are more effective on severe, deeply entrenched infections that some other treatment options, the idea that a product can be dangerous to use makes people nervous, and rightfully so. This post is just a short listing of some of those side effects and what type of people are a greater risk depending on previous medical conditions.